Forget cupcakes and donuts.Â This looks like a wedding cake. Haykuro is back at it (already) with another glimpse into the future of Android.Â Whether that future comes officially from Google, HTC, or by hacking and modding is beyond us. 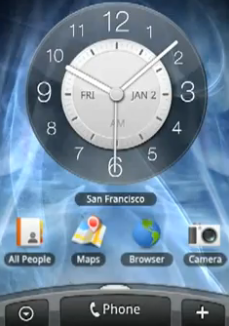 You’ll notice in the video that the term “rosie” is used a few times.Â Seems like this would be the code name for this new GUI.Â Much of what is shown widget-wsie appears to have HTC flavor poured all over it. Another great find from John at phonedog! You can find this, and many other Android related videos on AndroidUploads!